ADVANCED THERMOELECTRIC Home Page. ElectraCOOL brand Thermoelectric Modules, Thermoelectric Cold Plates, Thermoelectric Air Conditioners, Temperature Controllers, Power Supplies and related equipment for industry and research. 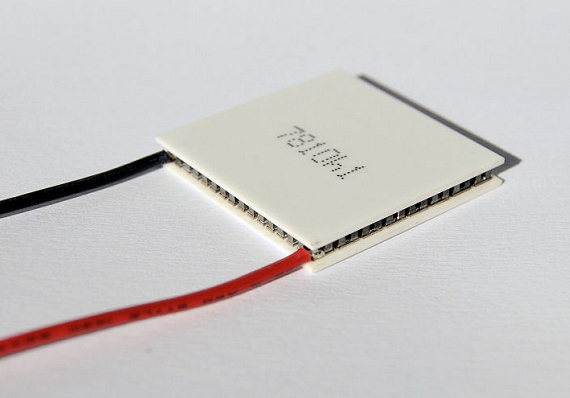 Our ElectraCOOL™ thermoelectric products are used to cool, or control temperature, by utilizing the Peltier Effect. This is done electrically, without compressors or gases. Our equipment is well engineered, reliable and environmentally responsible. 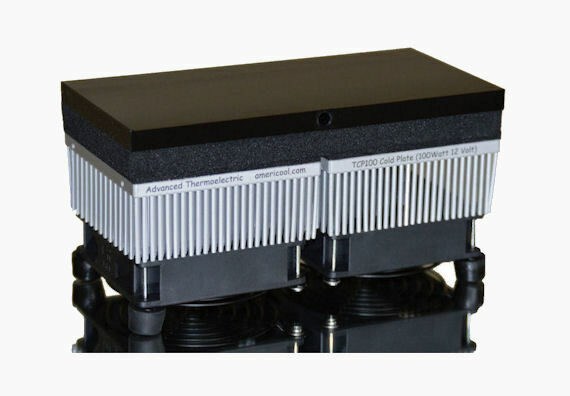 We've been delivering reliable ElectraCOOL™ brand thermoelectric cooling modules since 1989. Great for cooling, heating, thermal stabilization or thermal cycling, our TECs are ideal for instrumentation, electro-optic, photonic, aerospace/ military and a wide variety of consumer applications. Stylish and sleek. Our wonderfully versatile, cold-plates perform all sorts of useful functions. ElectraCOOL™ cold-plates provide a temperature controlled surface to maintain tissue samples, cultures, optics packages, or just about anything you need to cool or warm. Great performance in a compact package. While a small package, ElectraCOOL™ TAC60s are designed for maximum heat removal from an enclosure. Whether your communications equipment is baking in the sun or simply need to keep an instrument from overheating, our TAC60 thermoelectric air conditioner will provide consistent, reliable cooling. Our selection of complimentary components were selected to work with our thermoelectric assemblies but can be used for any appropriate application. 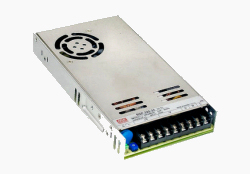 We have a great selection of reasonably priced AC-to-DC, single output power supplies. Choose from Enclosed, Din Rail, Medical or LED. Italian style with world-class performance! 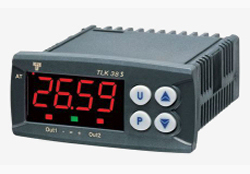 The latest Ascon Tecnologic compact, digital, microprocessor-based temperature controllers including the new and simplified TLK38 "S" and Z31-A. 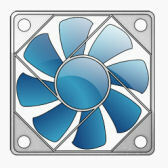 We stock a wide variety of 80mm and 92mm fans. Standard 25mm (w) replacement and 35mm (w) high-speed fans are available as well as 92mm waterproof (IP 55) fans. Our Thermoelectrically Air Conditioned Enclosures (TACE™) are rugged, weatherproof and built to protect your electronics. Constructed from molded fiberglass reinforced polyester, they are well suited for plant and factory operations but with optional insulation, they may be used in cold or particularly warm environments. Built to order in a variety of sizes. Let us know what you need. 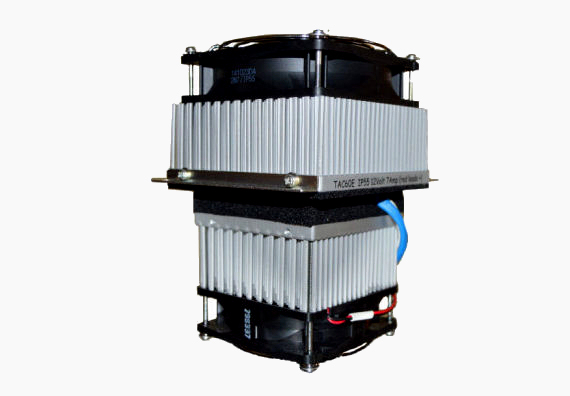 Pollock Industries is the world-wide supplier of Advanced Thermoelectric's ElectraCOOL™ brand thermoelectric modules and assemblies. We also have a wide range of power supplies and related equipment. Copyright © 2019 Pollock Industries, Inc., All rights reserved.